I know I haven't posted in a while. Actually, I've been in a space where I just didn't want to do anything. Just stay in bed and sulk. You see, the lease purchase on the house and land my husband and I were looking to buy fell through. I was soo excited about the land and a great kitchen to cook in and couldn't wait to move. But, the divine plan is perfect and there is another even more fabulous place somewhere out there for me. It still stings though, and for the past month I've been quiet on the cooking front. Yet, when I go out to Macy's I head for the housewares section or make a U turn to the kitchen store that's going out of business. I have even gotten into the habit of clipping and printing coupons for great food finds. My inner foodie is still alive! 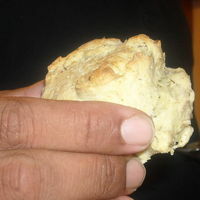 On my Southern Veg Facebook page ( you can check it out to your right) one of my friends asked about biscuits and gravy. So, I thought, life has ups and downs but a good healthy, wholesome meal is always comforting, especially Southern Veg style! 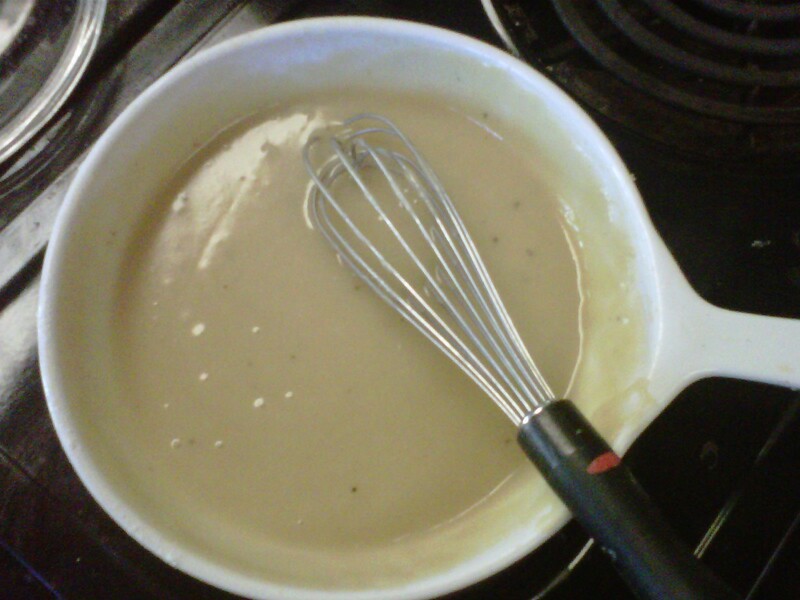 So here is a quick method for gravy and a savory biscuit recipe that can be altered, Enjoy! Melt the butter and add flour. Whisk for about 30 seconds and slowly add milk. You can adjust the amount of milk depending on if you want a thick or thinner gravy. To season add salt and pepper to taste. This is the basic recipe that can be varied. Onions can be sauteed with and extra teaspoon of butter and instead of pepper use a Cajun seasoning. Or add garlic and green onion. The list goes on. YUM! oil baking pan or a large cast iron skillet can be used. In large bowl mix flour, baking powder, baking soda and salt. Then add chopped garlic and dill, mix. Add butter to mixture and use a fork to incorporate into the flour. Add a few tablespoons at a time until mixture is somewhat crumbly like a coarse meal. Slowly incorporate milk until the flour forms a ball and is slightly tacky. Oil a ¼ cup and use as a form for each biscuit and place on oiled pan. Bake for 25 to 30 min until golden brown. Serve warm with favorite butter.